Product #1330 | SKU BGME2 | 0.0 (no ratings yet) Thanks for your rating! 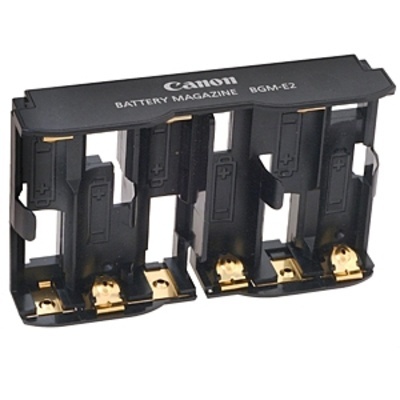 The Canon BGM-E2 Battery Holder works with 6 AA batteries, and is included with the Canon BG-E2, BG-E3, and BG-E4 Vertical Grip/Battery Holders. While alkaline, lithium, and NiMh batteries can be used, it should be noted that in cold temperatures it is best to use lithium batteries.